Barbados Foreday Morning Jam is a night-time street party with a parade of organised bands of revellers, covered in mud & body paint partying through the streets. It is one of the many Crop Over Events for the season, and is a precursor to the Grand Kadooment Celebrations. 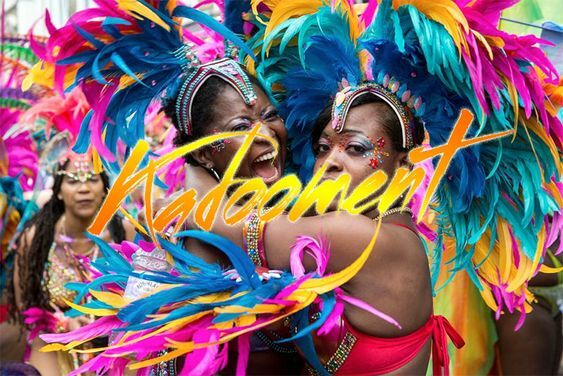 Foreday Morning is a cooler option to Grand Kadooment, offering those who want to play mas the opportunity to do so, without the heat and long route of Kadooment Day. This event signals the start of the adult street parades for the Crop Over Festival, and takes place immediately after the Pic-O-De Crop Calypso competition Finals in the early hours of the Saturday of the last weekend of the festival. It is similar to what Trinidadians call “Mud Mas” on Jouvert Morning (pronounced ‘Jouvay’). The Foreday Morning Jump Up which some describe as the modern version of “Ole Mas” (old masquerade) started in Barbados in 1995 as a small spectacle, but quickly grew to over 15 000 revellers, with more than 1 500 associated with bands. Costumes usually depict social issues or are just comical. A key factor in the planning of the event is the safety and security of the revellers and the spectators, and as such the route is well lit, the music trucks are fitted with lights and private security is deployed with each group. In addition, the Royal Barbados Police Force is present in its numbers from the start to the finish so as to ensure that the event is enjoyed by all. The National Cultural Foundation also deploys marshals with each band to ensure that a pace is kept that would allow everyone to get their money’s worth. After the Foreday Morning Festivities and you still have energy left, stay on for the Bridgetown Market, the biggest street fair of the festival. Foreday Mornin’ Jam bands usually offer packages for a fee, which can include; Drinks & entertainment, mud & paint, plus more extras depending on the band of choice. Don’t miss this opportunity to join a Foreday Morning Band, enjoy some nice soca music, and sample the island’s famous rum and beer in the company of some of the nicest people. A big occasion filled with fun & merriment – like Carnival. To know what is a Kadooment Band is subjective to the costume Designer’s imagination. The creation of costumes for Kadooment Bands in Barbados is an influential tool for self-expression. It allows the costume designer the freedom to explore and interpret their environment and culture, while the revelers become masqueraders of the art-form. Band Fetes or Limes are used as a socialising tool for band members and friends, as well as to generate funds for the Costume Band.